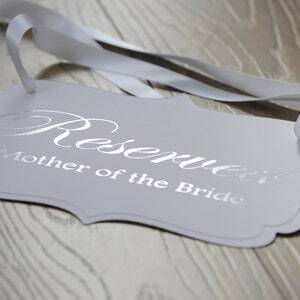 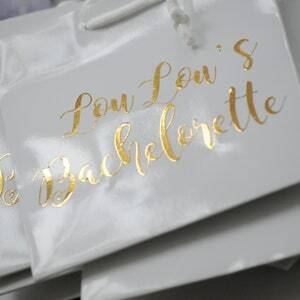 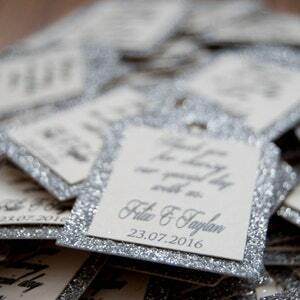 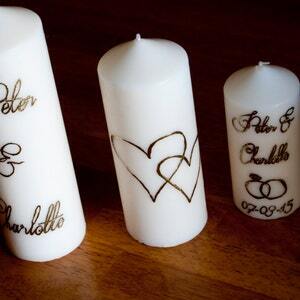 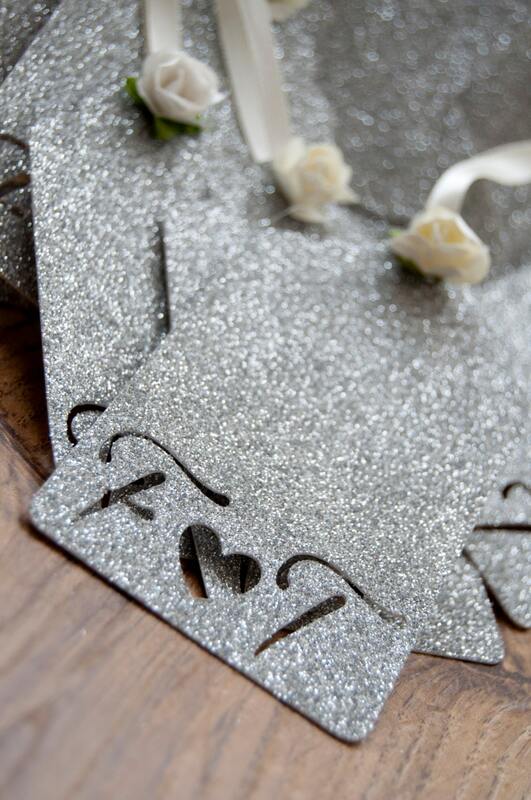 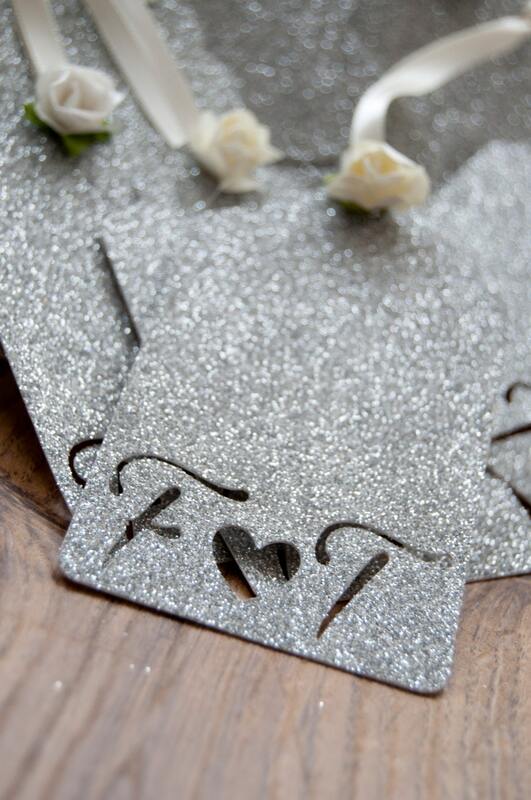 These tags are perfect for wishing trees/favours so unique and personalized to your choice, this is all you need to add that personal touch to your special occasion. 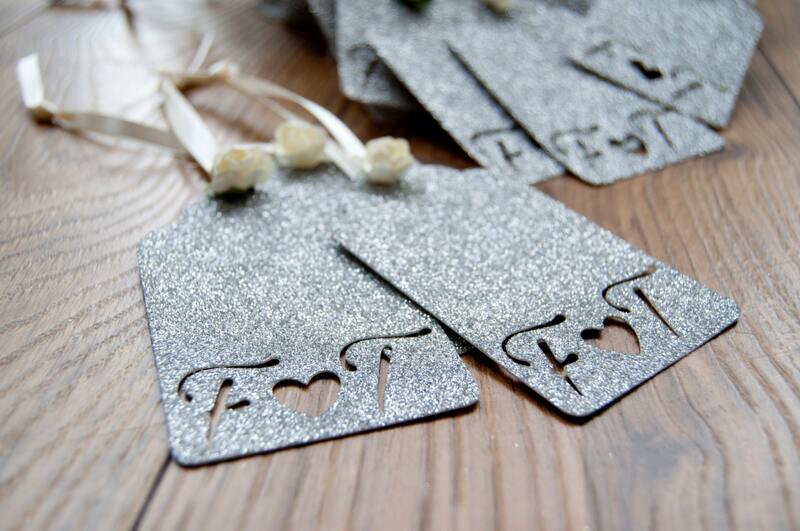 Each tag is hand made, the tags are designed with initials and a heart and to finish these off with ribbon and rose. 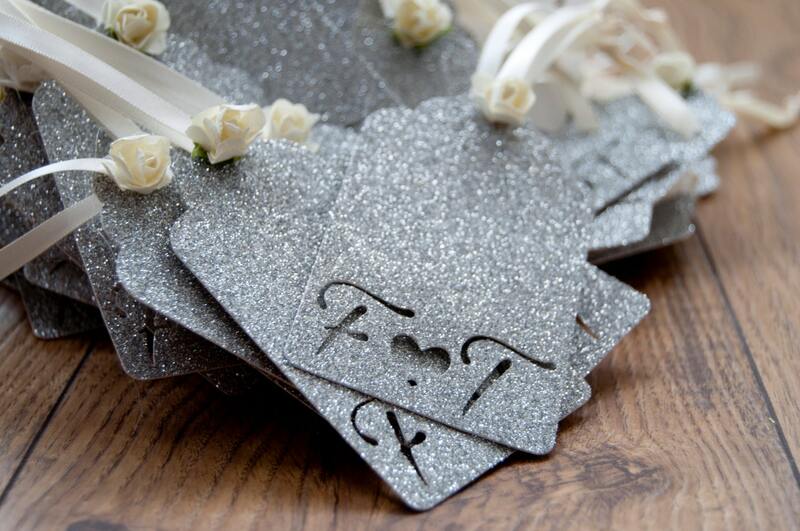 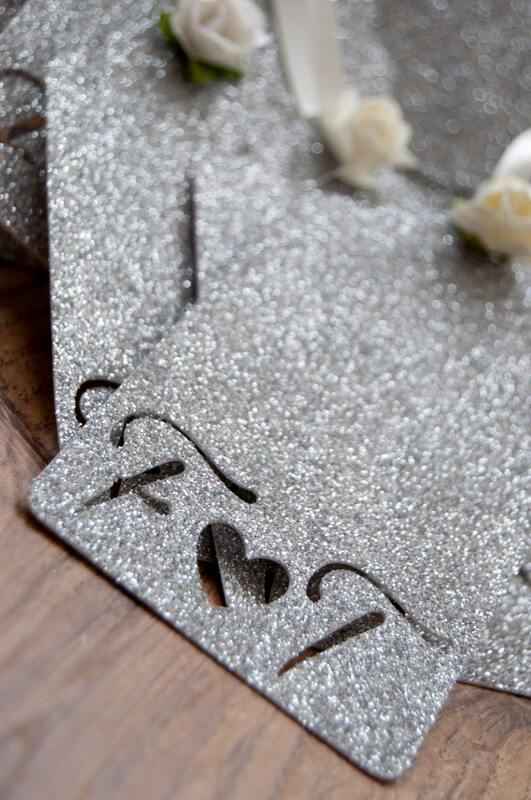 The card comes in silver glitter and gold glitter.